Some stories are rawer than others. 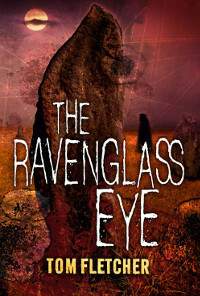 Tom Fletcher’s The Ravenglass Eye is one such story that’s rawer than most: here we have people who are damaged in some way, damaged by nature, event or circumstance. And yet, for all that, these are ordinary people, living lives that aren’t in any way different to those of others in other places. However, in some senses it’s where these people have their existence that makes them who and what they are, as well the events depicted here. So, what’s the story? Ravenglass is a village near the Sellafield Nuclear Reprocessing Plant in Cumbria (North West England, just below the border with Scotland). Edie Grace is the dreadlocked chef at the local pub called The Tup and she occasionally has visions which have turned out to be true. On a visit with a friend to a stone circle tucked away in the hills near the Sellafield plant, a minor earthquake strikes as she touches one of the stones and subsequently the visions intensify as well as bringing with it something not altogether pleasant. From that point on the world changes and not just for her but for everybody else too, in ways that no one could have ever have thought possible. These changes are anything but benign: death and decay follow in their wake, the agent a malignancy that is as old as time. Fletcher uses landscape and incident well – in just the opening chapter one is made aware of the isolation of the fells and hills in which the village of Ravenglass finds itself, and that this place holds secrets from the long ago. Every sentence practically breathes eerie mystery: right from the very beginning it’s apparent that the location of the story is entwined with strangeness and a subsurface disquiet, an ever-present feeling that amidst the beauty of the place’s environs there’s a disturbing presence that has seeped into the very bones of the land. It is an old landscape, after all. That acute sense of isolation and oddity is reflected in the characters that people this almost untouched landscape: Edie has always been set apart not just by the fact of her living alone in her caravan behind the pub where she works but also by her talent (though she was not quite aware of the extent of it); Maria, the Polish pub landlord, and her son Gabe, a heavy-metal loving teenager in a dull village where nothing exciting ever happens and so is an easy target; Don, whose wife Mags is in the thrall of dementia, who waters the pub’s plants daily and eats his supper there, apparently preferring the company of anyone other than his lost wife; John Platt senior and junior, who are both seemingly adrift, the older one because he’s lost his wife to cancer and his son unsure of where he fits into the world; and Phillip the curmudgeonly cynic, unable or unwilling to see anything but darkness in others, a man who harbours insalubrious secrets of his own and is a thoroughly unpleasant and bigoted man into the bargain. The latter is aided and abetted by an equally filthy specimen of humanity, Keith, a reporter. At base, this story isn’t merely about the shade of a long-dead king of an ancient tribe (whom Edie refers to as The Candle) being resurrected and reclaiming the land he once ruled. It raises questions about what the terms ‘land’ and ‘country’ actually mean, and the kind of people who dwell within it. Phillip sees his ‘country’ as being sundered by incoming hordes of foreigners, and by youth who dress strangely and listen to ‘satanic’ music. It’s the typical strategy of scapegoating the vulnerable and the ‘other’, the ones who don’t fit into their standards of normal. The Candle sees the land around the stone circle at Greycoft as his by right, so he’s merely taking what’s his – killing or subverting those who now inhabit it is a secondary consideration. The point is, I feel, that land remains whatever it’s meant to be, regardless of whose feet walk upon it, and that the idea of ‘country’ being a certain thing and nothing else is vacuous and empty at its core. It is mere concept, forced upon something which is at once beyond unforgiving solidity and simultaneously malleable, a quality which can be bent to purpose. In other words, meaning is in the mind of the beholder – the land itself is a static quality and cannot articulate meaning, so it has to be imposed from the outside. All the characters, barring those of Phillip, Keith and The Candle, are likeable enough; even so, there’s a strong ambiguity pervading their personalities. It’s difficult to pin down, but at the same time making them essentially very human. This is particularly true of Edie: ignoring the fact that she has visions, she is very much detached from the majority of humanity, refusing to live by perceived norms. This detachment manifests itself quite strongly in the middle third of the book, the point where the scenario begins to play out. On the other hand, Phillip (and people like him) feels quite strongly in his convictions, despite his limited experience of anything outside Ravenglass allied to a very narrow worldview. Fletcher’s ability to draw characters so sharply stems not so much from physical description, but from their actions – this gives them all a heightened solidity and believability. These are real people, with real lives and real concerns. Ravenglass and its surrounding environs exist within a timeless neverwhere, a place where the old ways were never quite suppressed and are merely hibernating, waiting for a chance to re-emerge. Even the familiar things of the everyday sit uncomfortably within the landscape: the land merely tolerates our presence and allows us to live within its embrace, while simultaneously allowing our illusion of conquering it. Fletcher is a dab hand at creating that disturbing and unsettling atmosphere of a place not quite belonging, even if the elements of that place are of the everyday variety. It’s the seamless juxtaposition of the ordinary with hints of the extraordinary that particularly works well in The Ravenglass Eye: nothing is as it seems, and the very essence of the landscape itself gives one the unshakeable feeling that reality is plastic, or that the nature of its solidity is fleeting from moment to moment. See that standing stone? Walk behind it and meet a creature from dream. Cross that boundary and gaze upon alien vistas of marvellous beauty. That’s the kind of place Fletcher has written about here. Indeed, for the time I was reading this I felt almost adrift, that I was floating in some dimension other than this one. The temporal and spatial dislocation was quite unnerving at times: one parallel reality bleeding into another. Very few books I have read have managed this: Tom Fletcher’s fluid handling of his subject and the atmosphere he’s imbued it with is magnificent. I can only end this review by saying that he is to be commended for this, and that you should go out and add this to your collection. Thoroughly recommended. Have you ever met Alison Littlewood? If you’ve been lucky enough to do so, then you’ll know she is one of the sweetest, most approachable people you’re ever likely to encounter, graced with one of the cheekiest grins. Then you read one of her books, and the cognitive dissonance starts to short-circuit your neural pathways, threatening to fry the synapses irrevocably and leave you a drooling idiot. How can such a lovely young woman write stuff like THIS, you ask yourself wonderingly? This reviewer is one man who is insanely glad that she does. 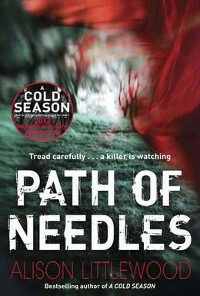 Going straight from reading Seth Patrick’s Reviver, a flawed and contrived thriller that ultimately left me a little frustrated, to Alison’s latest novel, Path of Needles, the contrast between the two couldn’t be more sharply delineated. Instantly, one is aware that one is reading an assured writer, confident in her ability to tell a story that draws the reader in relentlessly from the very start, and that it will refuse to let go until the last word has been absorbed. It pulls no punches either in its telling: grief, anger, bafflement, and confusion laid bare, emotion in the raw, and just like nature red in tooth and claw. Cate Corbin is your average community police officer, dealing with the usual, humdrum neighbourly disputes, cases of theft and other minor misdemeanours, but she does have ambitions to move beyond the parochial and into something more substantial and meaningful. Her chance comes, unexpectedly, in the form of the body of a young girl found strangely posed in woodland near her home. Looking at the scene, she realises that there’s a reason why the corpse has been positioned in the way it has: in death, the girl has taken on the attributes of a character in a fairy tale, specifically Snow White. Her colleagues, in particular the Senior Investigating Officer Heath, dismiss the theory as being fanciful and clutching at straws. Luckily, Alice Hyland is a lecturer in literature at a nearby university and she specialises in fairy tales. She confirms that yes, the way the body of the young girl was posed when found is suggestive of the Snow White tale but, to complicate the matter, it isn’t just the familiar tale we all know but a particular variant of the tale originating in Italy. This means that the perpetrator appears to be an expert in folklore themselves, having gone to extreme lengths to stage that precise tableaux. Cate’s theory is further backed up when a second carefully-posed body is found in the same woodland: this time it’s Little Red Riding Hood who takes centre stage. Threading through the story is a disturbing sense of reality being severely out of kilter, and this is broadcast not just through the bloody re-enactments of old tales from European folklore but also in the presence of a strange blue bird flitting around the woodland centred on Alice’s cottage. Initially, we’re not quite sure whether it’s real: when other characters start reporting seeing it then we know that it isn’t a figment of Alice’s imagination. Alice herself is almost a character from a story-book – a fay, sylphlike presence, seemingly more connected to her beloved fairy tales than to the real world. Certainly she moves through the woodlands surrounding her cottage as if she isn’t actually anchored to anything real, or that the existence she inhabits is beyond the reach of normal humans. Cate on the other hand, becomes the intermediary between the unworldly university lecturer and the SIO, Heath. He’s the complete opposite: firmly rooted in the ‘real’ world, preferring to be dictated to by facts and evidence. Cate is somewhere in between – reacting to intuition and hunches but also looking for the evidence to back those nebulous assertions up. She’s also portrayed as a career woman, someone who would like to climb the promotional ladder and get involved in something less provincial – she refuses to set down roots, so that when the time arrives there’s nothing to hold her back. The series of bizarre occurrences upsetting the local community provide her with ample opportunity to push those boundaries. Trotting out the cliché of this being a rollercoaster ride seems like it would be a terrible disservice to the author, but there really isn’t any other way to describe it. 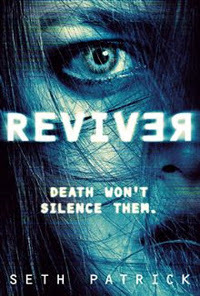 The set-up takes its time without being overlong in doing so, after which the plot suddenly rushes headlong into a breathless careening from revelation to revelation. There are suspects aplenty, and we are given reasons galore as to why it could be any of them. Everything seems to slot neatly into place and then, just when it all seems settled and we have our perpetrator, another layer of the story is revealed that throws all into doubt, and we are left having to tie all the disparate strands together again. As I averred above, this is a writer at her most confident. Mixing reality with the fantastical is a difficult juggling act at the best of times: it’s easy enough introducing such elements into a real world narrative but doing so seamlessly is where the true art lies. Littlewood, I can say unhesitatingly, manages it admirably. The prose is sharp, drawing the reader in from the opening paragraphs with a practised ease that’s almost enviable in its effortlessness. I read this in two sittings – it would have been a single session had I not started reading the book late in the day. This is one of those novels that really does grab you by the lapels and then proceeds to hurl you into the maelstrom, not even allowing you to surface for air. 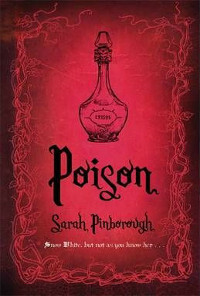 I referred to fairy tales a couple of reviews ago when I talked about Sarah Pinborough’s Poison. In it, I mentioned that the true origins of the fairy tale were in our deep and dark past, their content reflecting the nastiness and brutishness of life back then. Path of Needles brings that home painfully and graphically. And let me just say that the murders aren’t in the least pleasant, in their unflinching depiction or in their implications for the victims. It’s a closely observed story, weaving fact and fiction, fantasy and reality, story and academic interpretation in a clever way, and then wrapping it up in a package of police procedural. After you put the book down, I can pretty much guarantee that you won’t be able to look at the fairy tale in quite the same way. I can also say these folktales have regained what the Victorian compilers took away from them. This is one book you should immediately go out and grab. 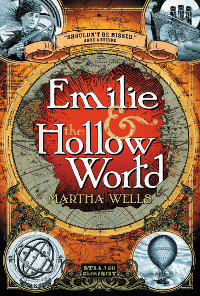 Literature is full of resourceful heroines, and Martha Wells’ Young Adult fantasy tale adds another name of such a one in the shape of Emilie (we don’t get to know her second name), a sixteen year-old girl who has managed to run away from her tyrannical uncle and aunt. It’s plain that Emilie exists in a world where womanhood is defined by feminine and domestic accomplishments, often ordained by the males. It’s implied that Emilie longs to see the outside world she’s read about in popular (and somewhat exaggerated) novels, to learn practical skills other than embroidery and homecraft, leading her to decide that she needs to be with her cousin, who helps out at the Karthea school, where such skills are taught. She intends to stow away on a boat at the docks, but there’s only one problem with the execution of the plan: due to bad luck intervening, she’s ended up not on the boat which would take her to Silk Harbor where said cousin resides, but on another vessel entirely. However, this particular ship isn’t headed to another port further up the coast, but somewhere entirely different: the world that exists at the very centre of the earth. That, indeed, is the basic premise of the novel: the ship that Emilie stows aboard is a marvellous ship of uncanny design called the Sovereign, and this is where her adventures in the inner world begin. The ship is a mixture of science and magic, a gleaming steampunk contraption powered by spells and aetheric currents abundant in the sea and air. Miss Marlende, whose father created the technology, is also aboard this wondrous conveyance, in the hopes of repatriating Marlende pater to the surface after his expedition to the Hollow World had got into difficulties and failed to return. Other expedition members include the wealthy Lord Engal, a gruff, blustery gentleman who appears to be the leader of the rescue mission, his assistant the distrustful (and somewhat murky) Dr. Barshion, and the reptilian humanoid Kenar, a Cirathi native of the inner earth. As in all good stories of this nature, there’s a dastardly antagonist who appears later on in the mix too: Lord Ivers, another wealthy aristocrat intent on using the science of aetherism to enrich himself but at Engal’s expense. Perhaps it was just me, but it reminded me a tiny bit of Lewis Carroll’s Alice’s Adventures in Wonderland here, and not just because Emilie falls down a hole in the ground (or a fissure at the bottom of the sea, in this case) or that she finds herself in a strange place quite unlike anything she’s known at the bottom of said hole. Like Alice, she’s practical, clever, and intelligent, plus she’s not averse to standing up for herself against adults and, although the Hollow World is a wholly unfamiliar place, she adapts to her predicament quickly. Additionally, she is anything but a shrinking violet: she is plucky enough to swing an axe at an invading sea creature early on in the book as well as effecting an escape from confinement by Lord Ivers, and in the process saving Kenar’s companion Rani. This is a fabulously fulsome adventure, the pace cracking along breathlessly, the turns and heart-stopping moments piling on themselves while simultaneously revealing a world unlike, yet eerily similar to, our own. Double-crossing and deception are not confined to homo sapiens alone, it seems; neither are murky motives hidden behind offers of help. Emilie herself is an infinitely likeable character: sharp, able to think quickly on her feet and willing to take the odd risk here and there. Wells has erred on the right side in regards to her traits, however – she’s a very believable and very human girl, not some kind of invincible superheroine who escapes any kind of consequences. Miss Marlende is also likeable too – indeed she’s something of a cynical grown-up version of the main protagonist, but better armed and with more money. Lord Engal remains something of an unknown quantity right until just before the end and Lord Ivers is just the epitome of a complete cad, and an overbearingly arrogant one at that. Apart from Emilie, the most detailed characters are those of Kenar and Rani, the Cirathi. Despite their alien nature, their human attributes are endearing: they care deeply for each other, they display their concern for their fellows openly and yet they are fearless when the need calls for it. These traits are in direct contrast to those of the merpeople, the beings whose territory encompasses the abandoned cities dotted around the seemingly endless seas of the inner earth. These beings are human in their own way too, I suppose, but tending to the less palatable aspects of the surface world dwellers. The landscape in which the drama is played out is fantastical yet utterly realistic for all that – one can imagine that such places are not outside the bounds of possibilities, and that the whole is somehow firmly rooted in the real world. Finally, I have to note that, unlike some YA, Martha Wells’ prose refuses to adopt a condescending tone, assuming that its readership has more than a modicum of intelligence and is fully able to grasp concepts. It doesn’t quite broach adult subjects, mainly because they aren’t needed to bolster the story. Having said that, there are hints of a potential romance but we’re left to ponder that one as the book ends. I loved this book, finding the heroine entirely believable and completely endearing. Emilie is not quite old enough to completely let go of the child within but yet not so young that she hasn’t developed a slightly cynical edge. In many respects she’s tantamount to being a great role model: assertive and self-confident but also aware of her limits. The tale itself is in the best tradition of the adventure story, reminding me somewhat of some of the material I used to read as a child – tomes by such luminaries as Jules Verne and Sir Arthur Conan-Doyle. Yes, it’s escapism, but grounded in humanity and morality. You can’t really ask for more than that from a book.